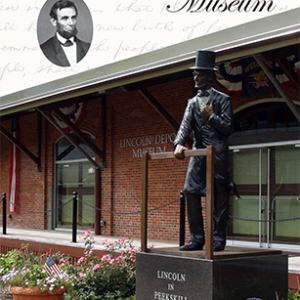 The Lincoln Depot Museum in Peekskill, NY announces the kick-off of the 2019 season with three days of events planned for April 26, 27 and 28th. 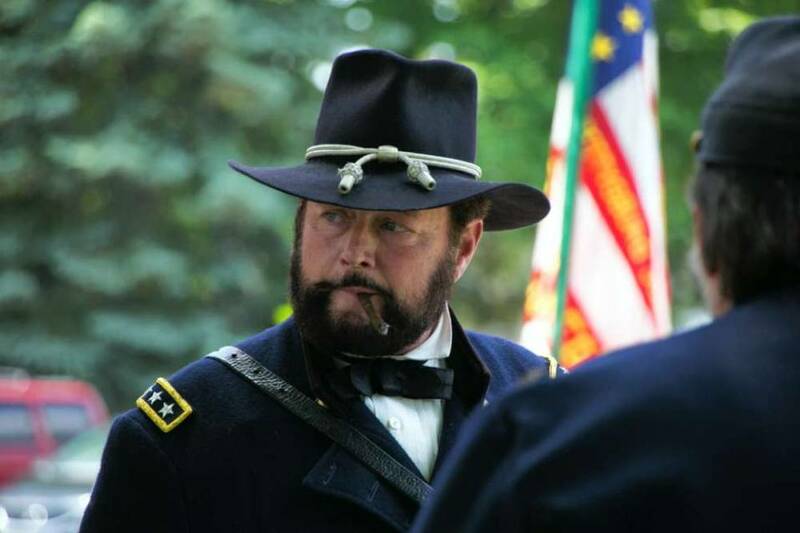 The three days will include interesting lectures by nationally known historians, encampment on the museum grounds by Civil War reenactors, demonstrations and drills by the troops, and a visit from General US Grant on Friday and Sunday. A special feature of the weekend will be the official ribbon cutting of the newly completed Lincoln Depot Visitor’s Center on the museum site. 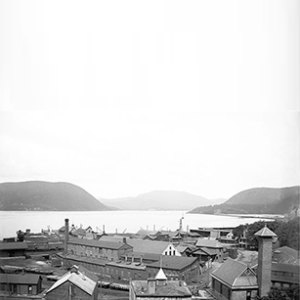 The City of Peekskill will turn over the operation of the new building that will complete the re-development of this unique historic site that began with grants to purchase the property in 2003. The historic depot structure was restored and has contained the completed museum since 2014. The Lincoln Depot Visitor’s Center is a new structure that will house the museum offices, additional displays, a small gift shop and an open meeting room to hold events. Funding for the entire project (Depot building, Visitor’s Center and grounds) came from NY State grants in 2006 under then Governor George Pataki. 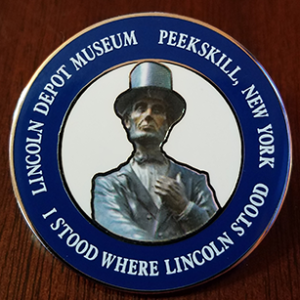 The Lincoln Depot Foundation will operate the Visitor’s Center as part of its site lease with the City of Peekskill and look to partner with local organizations to bring new events and experiences to the community. The Ribbon Cutting Ceremony will be held at 11 am on Saturday, April 27th and will include local, county and state representatives. Professional Living Historian Kenneth J. Serfass (USMC Ret.) will provide a first-person portrayal of General US Grant and will present a rare glimpse into the personal relationship that developed between Grant and President Abraham Lincoln. The two men sustained each other for what was to come before the surrender of confederate armies, and that shared responsibility built a profound bond between two like-minded men regarding fairness and humanity towards a vanquished foe. It’s not always told in battle reports and dispatches, but the stories of friends go much deeper sometimes. 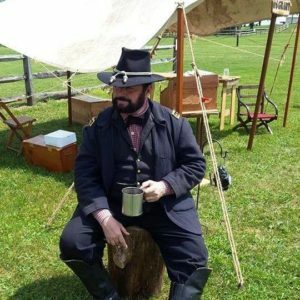 Serfass will return as General Grant on Sunday to be on the museum grounds all day to review the troops, spend time in the camp and be on hand for small group or individual discussions and photos with visitors. 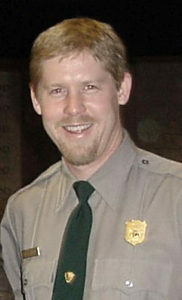 Historian at Appomattox Court House National Park, Patrick A. Schroeder, will offer a series of presentations over the weekend. 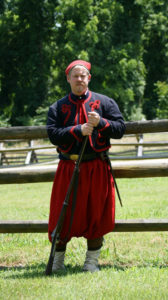 As a Civil War Historian and Author, Schroeder will give insight into the various Zouave units that served during the Civil War, including the famous unit formed by Lincoln favorite Elmer Ellsworth. On both Saturday and Sunday, Schroeder will present his research on the facts and myths associated with Lee’s surrender to Grant at Appomattox. Historian Patrick Schroeder returns to the Lincoln Depot Museum to continue his fascinating research and insight to the Civil War Zouaves and Lee’s surrender to Grant. 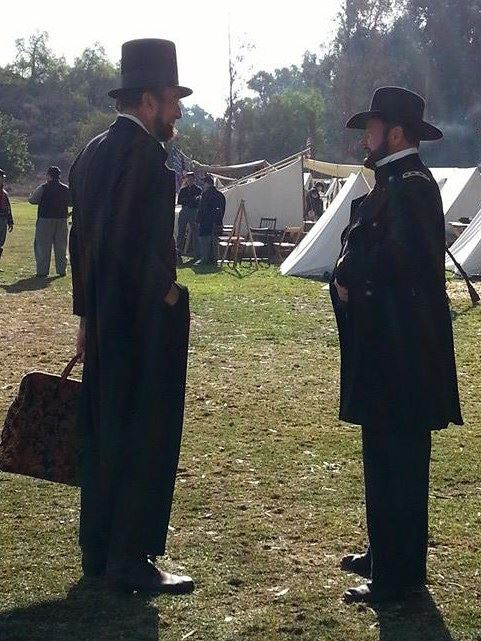 General Grant (Ken Serfass) will be on site from 1-4 PM for small group/individual interaction and photographs. Admission for Friday’s event is $5.00, Saturday and Sunday’s admission is $10 which includes all events of the day. A special discounted weekend pass can be purchased for $20.00 on Friday evening or online at the Lincoln Depot Museum website. Admission for museum members is free to all events and $5.00 each day for Children under 12. 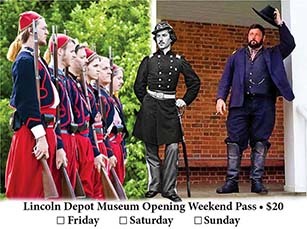 For further details of all events or to purchase a discounted Weekend Pass visit lincolndepotmuseum.org.